Prophet Jeremiah Omoto Fufeyin, General Overseer, Christ Mercyland Deliverance Ministry (C.M.D.M), Warri, Delta state surprised Miss Stephanie Idolor with a brand new Toyota Corolla after giving her N2million last week. The Founder of Mercy Television decided to bless Stephanie because ‘after blessing her with N2million God opened new doors for me’ he said. Owomowomo 1 presented the car key to Stephanie during Sunday Thanksgiving service in the church auditorium in which her parents were present. The prophet noted he was blessed by God for blessing her, so he decided to bless her again. The man of God also gave Stephanie N1 million naira to fuel the car, her parents N500, 000, which he told them to share N250, 000 each. In the same service, Prophet Jeremiah Omoto Fufeyin doles out N2.5 million to 50 members of his church. 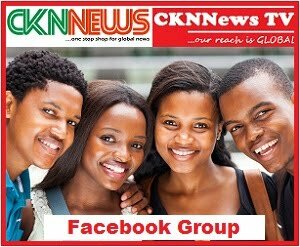 The prophet randomly touch 50 people to come out including members and workers in which he blessed them with N50,000 each and a Bible. He revealed that God had blessed him abundantly in the past few days and he decided to still bless others as he can’t do without giving. Miss Stephanie Idolor was the lady that recorded the now viral little Success video. A Nigerian primary school student identified as Success had gone viral some weeks back after she was recorded while she was complaining about her absence from school. The 7-year-old had got angry because she was sent out of school because she had not paid her school. After her video went viral, the little girl and her family received financial help from Nigerians, scholarship from UK and US who were moved by her story and her determination to learn. Stephanie lamented of not getting anything for her role in making Success go viral, but God had other plans, through Prophet Jeremiah Omoto Fufeyin. 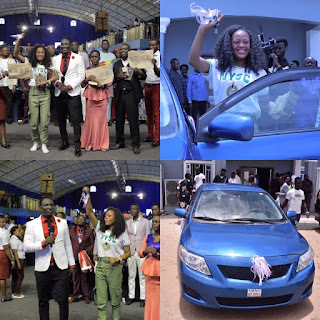 The man of God blessed her with N2 million last Sunday (31st March, 2019) and now a brand new car.